This unit features a 13" deep frame, 3" high cleats, 6" high side rails, and large drive pulley. It is designed to move larger and heavier products up inclines. 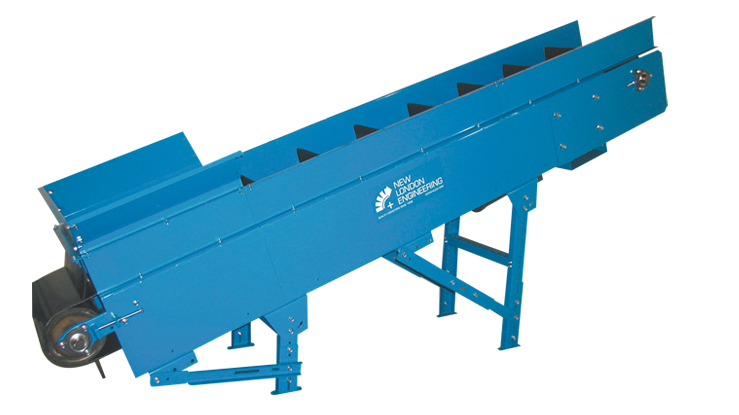 This sturdy, solid conveyor is built to last and withstand heavy usage.